Next month I’m attending my first craft show as a seller and have been keeping busy designing and producing new handmade bags and purses. 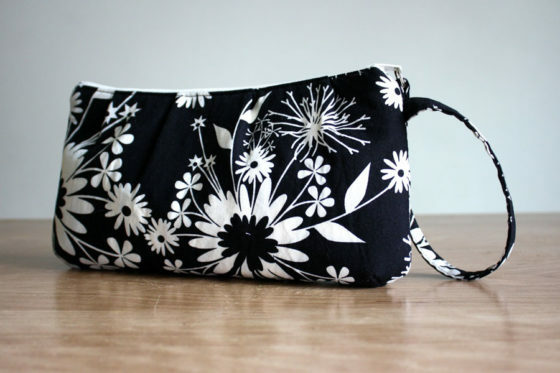 One of my favorite types of purses are small wristlets which can be used to carry just the bare essentials. When a woman goes out dancing, for cocktails or a sporting event, she doesn’t always want to lug around a bunch of junk in a big, heavy purse! I like to have a little bag that can be slung over the wrist for these types of occasions. The exterior of this wristlet is pleated, which adds depth and visual interest. I also added darts at the bottom corners which gives the bag some shape and depth. I interfaced the exterior of this bag with fleece so it has a soft, lofty feel. Finally, the strap is connected to the top zipper using an O-ring. 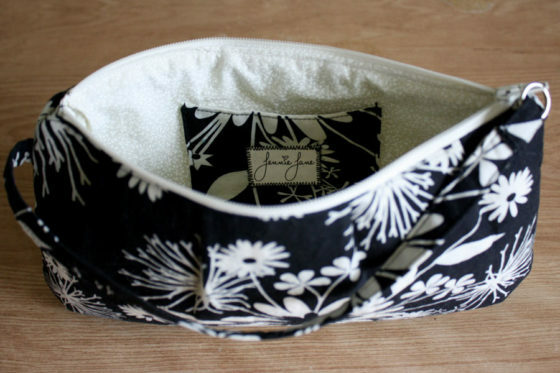 The interior features a little slip pocket in which your photo ID and credit cards will fit perfectly! I love this wristlet! I’ll have to make myself one after the craft show in May. What do you think of this bag? Feel free to leave me comments below!